I still wonder why PDF files are not imported by default as plain text. It requires 4 additional clicks every time you want to import two PDF files. 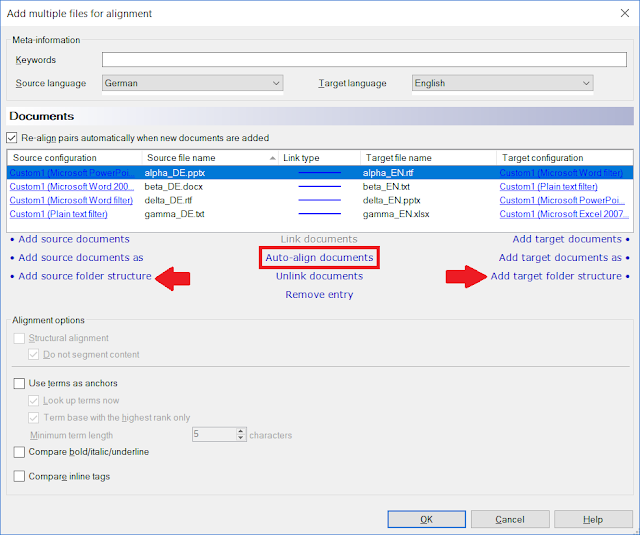 Import as docx with hard returns is useless for alignment purposes. I made a suggestion to change this but nothing ever happened. Noe, all of the PDF import filters for memoQ are total crap. If you want to extract and align PDF content I suggest using the XML export from Iceni InFix. Hi Kevin, thanks for your reply. Don't know if I am willig to pay, even it would be just some cents, for every alignment passing through Iceni. What are you talking about Noe? pay for what? Using the XML extract function of iceni InFix is free, just like the TransPDF service they have for extracting XLIFFs for translation. In fact, AFAIK, the only function in InFix which is actually crippled if you don't have a license is the useful "story export" feature, which is rather nice for pulling PDF content out as a relatively clean MS Word file. To do alignments or stick content into LiveDocs for reference you are not subject to any fees for removing watermarks from PDF files created with InFix (which is actually not relevant). Another nice thing about the iceni tool is that it ignores password protection on a PDF file, which can also be useful. The XLIFF is for tranalation, not alignment. And in some cases people may run afoul of their NDAs using that online service with the latest version of memoQ. 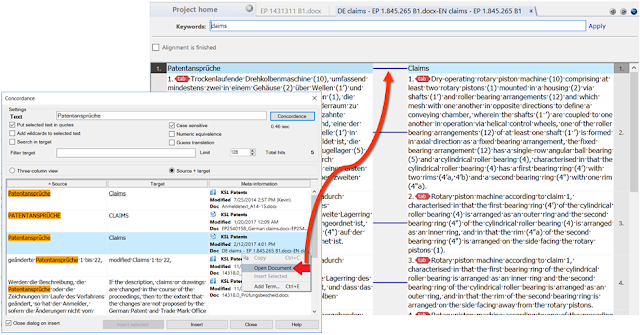 But for alignment and confidentiality situations, the older form of Iceni translatable export can be used: the XML files. That is done directly in InFix. I think I wrote an article about this some years ago, but the menus have changed since then, and I intend to write a short post soon with the new details. It's a bit hard to find the relevant menu commands, especially if one is averse to RTFM.